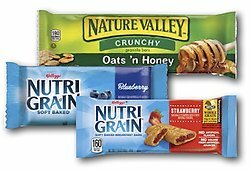 Granola Bars - 30 Count Variety Pack. These are our three most popular Granola Bars in one convenient variety pack. Like all of our variety packs, they come in a clear "drawstring" bag for easy viewing and storage.